With the two McLaren drivers demonstrating the extent of their personal rivalry recently, there has been much talk of drivers needing to be ruthless in their quest for success. Very often this can be at the expense of the team's fortunes, the most famous examples probably being the Prost/Senna clashes of 1989 and 1990. So is it better to be a team player? Should an ambitious and talented young driver allow other considerations to take precedence over his own success at times? History would seem to indicate that putting loyalty before personal advantage is a bad move if you want to be champion. Sterling Moss famously decided at an early stage in his career that he would never drive for Ferrari; after Mercedes withdrew from motor racing, he drove only for British teams. With Italian teams dominating the championship until the late fifties, this was a decision that seemed doomed to prevent him ever being champion and so it proved. In 1976, double world champion, Emerson Fittipaldi, made the surprising move to his brother's Fittipaldi team and stayed there through five years of driving a car that had no hope of taking him to a third championship. It was admirable family loyalty but disastrous for Emerson's reputation and success. More recently, in 1999, Jacques Villeneuve agreed to drive for his friend, Craig Pollock, in the BAR team. He suffered the same fate as did Fittipaldi, leaving the glories of previous years behind him as the car failed to provide him with a chance of winning races. It was yet more proof, if any were needed, that nice guys finish second. So can we assume that to become champion, one has to be singlemindedly selfish? It helps, obviously, and the fact that it can cause problems for the team does not seem to matter. Michael Schumacher's desertion of Jordan for the better prospects at Benetton did nothing to lessen his value on the drivers' market; his later departure to Ferrari left the team that had built itself around him in ruins, yet he went on to greater success than ever before. Perhaps we should be excusing Hamilton's refusal to obey orders in Hungary with the thought that he needs to be self-centered if he is ever to be champion. The damage done to his squeaky-clean image is regrettable but an inevitable by-product of the ambition that brought him to F1 in the first place. In a way, he has now entered the F1 club and we can settle down to watch his progress without the smokescreen of hype that has surrounded him until now. But it does mean that we can forget any illusions of the champion being a great person as well as a great driver. It is a very durable illusion, however, as shown by the weight given by the media to the political utterings of champions of any sport and the stars of the entertainment world. It is no surprise to find that so many of our heroes have hopelessly idealistic and unrealistic opinions on matters outside of their specialty - they have been concentrated on one task for so long that they have had no time to think other things through. Yet still we listen to them in awe. And the same applies to the World Drivers Champion. We should not expect any great thoughts or words of wisdom to issue from a man merely because he knows how to handle a racing car. In fact, the real surprise is when we get a champion who does have something worthwhile to say. I've been trying to think of an example. Fangio perhaps? Clark? But no, Clark never said anything. Jackie Stewart, Ayrton Senna maybe? It's difficult, isn't it? Whoever we think of, there are bound to be those who will disagree and cite instances that prove us wrong. Can you think of a champion who has been universally respected as a man as well? Jackie Stewart is probably the one that springs to mind as being the closest to that. Personally, the win-at-all-costs mentality is somewhat admirable but at the same time a little unsavoury. There's no doubt in my mind that Schumacher was the best driver I've ever seen (and maybe ever will), but even he did some stuff I find hard to justify. At the other end of the spectrum we have someone like DC who is a good driver, and had a very decent shot at the title when with McLaren - but instead he stuck by his morals and let Hakkinen through when asked. Schumacher wouldn't have done that, no way! But DC says now that although he would have loved to have won a world championship, he would much rather leave the sport having stuck by his word than as an ex-champion who has lost all respect by being underhand. Between the two, I think of Schumacher as the better driver but Coulthard as the better man - and to me being a good man is a lot more important in the grand scheme of things. I think you stated it perfectly Clive, its quite the conundrum. To be a good person you have to be willing to be equal and even put others in front of yourself at time. On the other hand to be a Champion you can only be concerned with what will help you. The only problem I have with Hammy not following team orders is that he is a rookie. Maybe Alonso has already won his fair share, but he should still have some seniority. I have no problem with someone that MUST win, but disobeying Ron Dennis, the one who brought you to this level is selfish, not overly competitive. I think I agree with DC on that one, Craig. And that means I'll never be champion, I guess! You're right, Dan - it was Hamilton's newness to the game that made his action doubly shocking. I can remember feeling quite pleased when Arnoux refused to let Prost through to win the French GP when they were both driving for Renault. But it was different with Hamilton - he's the new boy who owes everything to Ron and he should have had more respect than to decide not to listen to previously agreed orders. "inevitable by-product of the ambition that brought him to F1 in the first place". 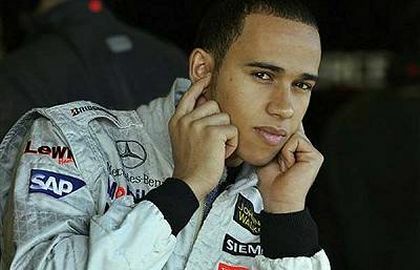 Are you actually speaking of the Lewis Hamilton now making noise in the 2007 F1 season? Without McLaren backing, little Lewis would be a no-name kid still playing with go-karts. It wasn't HIS ambition, it was ALL McLaren insight! When I stop and think of all the really good drivers who unfortunately couldn't buy a set of new tyres for this weekends race, thus displaying their true skills........Lewis has had everything handed him on a silver platter and he shows little appreciation! Clive asks: "Can you think of a champion who has been universally respected as a man as well?" Mark Martin.......never won a championship but may 2nds and always 1st as a respected MAN! I'm not denying that Hamilton had plenty of help from McLaren on the way up, Number 38. But the talent must have been there in the first place for Ron Dennis to decide to back him. And we have seen his ambition in recent events! Yes, it's unfair on all those drivers who struggle to get backing when they can't afford a decent car but that is life - some people get the breaks and some don't. I like your list of drivers who were also respected as men of honor. It does seem to be a rare thing of late, however.